The New Thing In High Fashion? Christian Dior Cruise 2015, Brooklyn Navy Yard – featuring 66 looks and around 900 guests at the Brooklyn Navy Yard in NYC this was Dior’s one of the biggest collections. 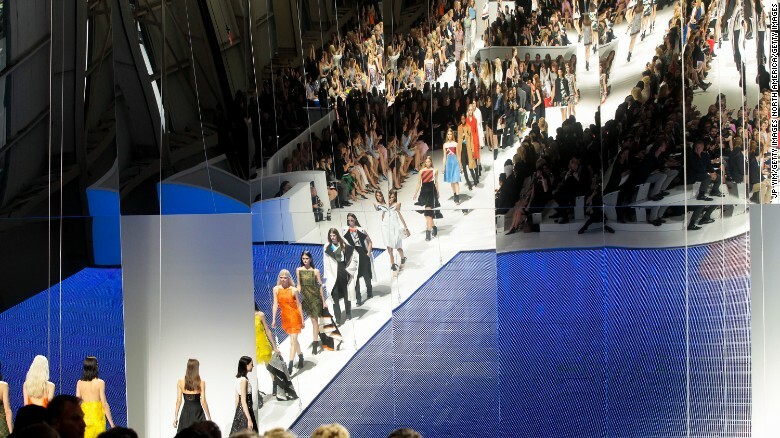 The main feature of the set was a mirrored wall elevating 16 feet high to provide spectacular view of the NYC skyline.